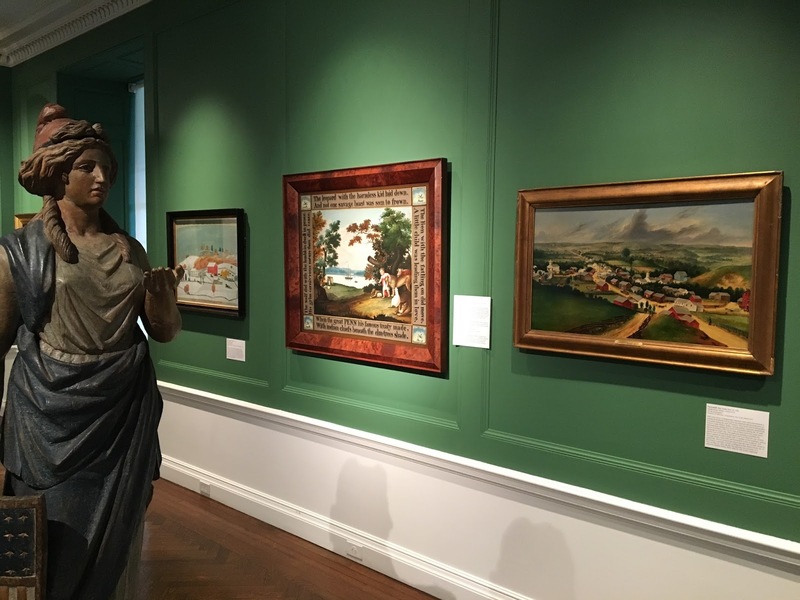 We made some terrific changes to our folk art gallery here at the Fenimore Art Museum this spring. In this photo you can see our new acquisition hanging at the upper right, the Rising Sun Tavern sign (labeled for its owner, J. Wilder), and a few old friends that haven't been out in a while. 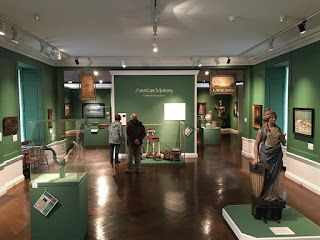 That's Paul Seifert (Wisconsin painter) on the left, followed by Edward Hicks (Pennsylvania Quaker painter of Peaceable Kingdoms) at center, and New York's own Joseph Hidley on the right. 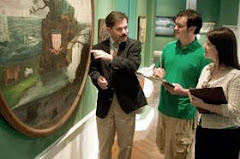 The lady playing Vanna White on the far left is a carved pilot house figure of Columbia from a Great Lakes steamboat. And we always have portraits, the staple product of 19th-century folk artists, well before digital technology made likenesses ubiquitous. 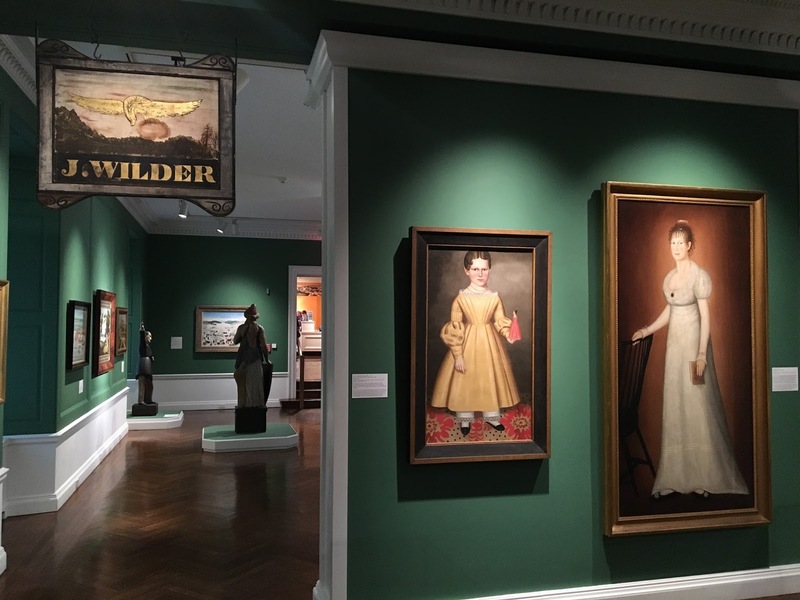 Looking from the opposite direction, we have the other side of the Wilder sign, along with portraits by Erastus Salisbury Field and James Brown. Our feature exhibitions are always popular (we have Ansel Adams this spring!) but the permanent collection is who we are. I'll be posting some close-ups of the masterpieces in this gallery to convey the spirit of a collection that speaks to our ongoing commitment to the artistic heritage of the American people. All of the people, regardless of who they were or where they lived and worked. It's a fascinating journey that never gets old.